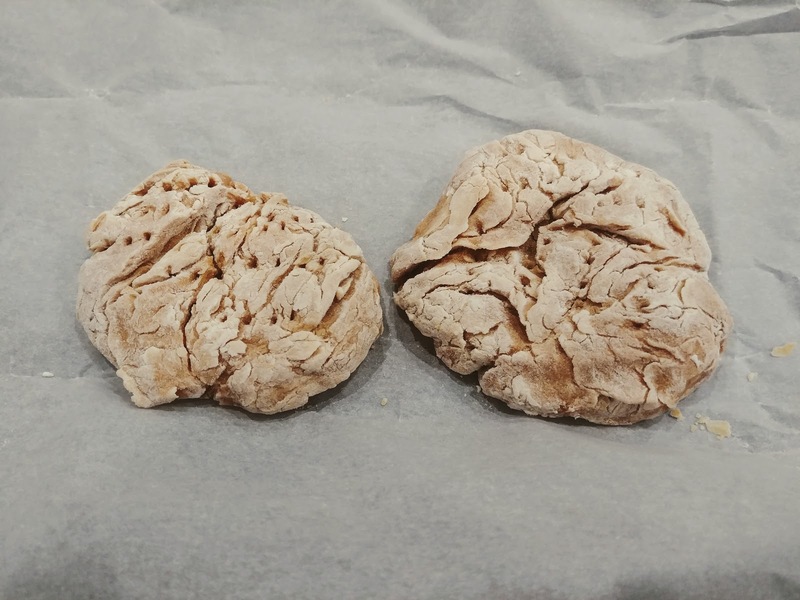 Nearly a year ago I cooked up a batch of Ships Biscuit or, as landlubbers and Civil War soldiers would have called it: hardtack. In many respects, ships biscuit / hardtack was the original super food. Not because it contained impressive amounts of nutrition, or because it was only found in tiny, expensive grocery stores. No, it earns a special place in the food universe out of pure utility: it's super easy to prepare and can go months, perhaps years without, refrigeration. This made it the ideal food for ship crews and soldiers alike. Sure, you can read about how soldiers and sailors subsisted on this food. Or better yet, you can bust out some flour and water and mix up a batch. That's what I did. 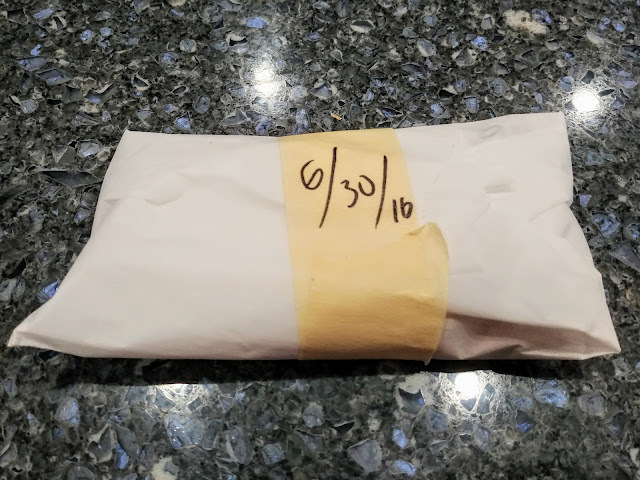 I marked the batch with the date and expected to come back to in a few months to do a taste test. Instead, I totally forgot about it. That was, until a couple of weeks ago. And just like that, a year had passed! My cooking test was going to be more authentic than I'd imagined. In preparation for chowing down my little experiment I did some research. I found excellent accounts of how Civil War soldiers dealt with hardtack here, here and here. As I read through tales of hardtack being tooth-cracking hard, and being infested with weevils, I grew more and more concerned. This was beginning to feel like I was on an episode of Survivor. I was relieved to see no sign of bug infestation. But man, were those biscuits hard. We're talking little hockey pucks. I managed to crack off a piece and dip it in my tea. I took a bite. Not bad. Not great. But not bad. I dropped another piece of the 'bread' into my tea and left it. I then continued to nosh. Hardtack is nothing but flour and water, so it basically tastes like eating four. But even after a year, it wasn't rancid flour, so that's a good thing. Finally, I extracted the piece of 'bread' that I dropped into my tea and crumbled it up as best I could. I then dropped it into some scrambled eggs. 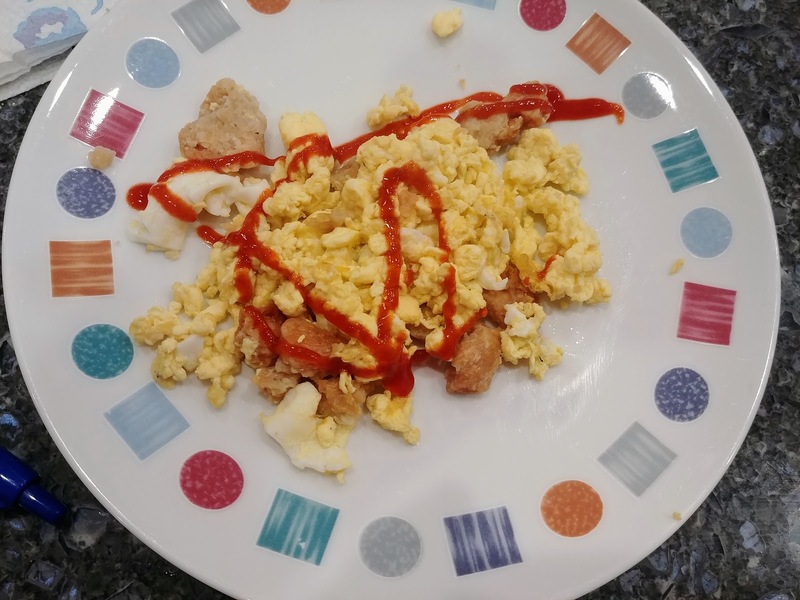 I generously doused the eggs and hardtack with sriracha and ate up. Again, not bad. 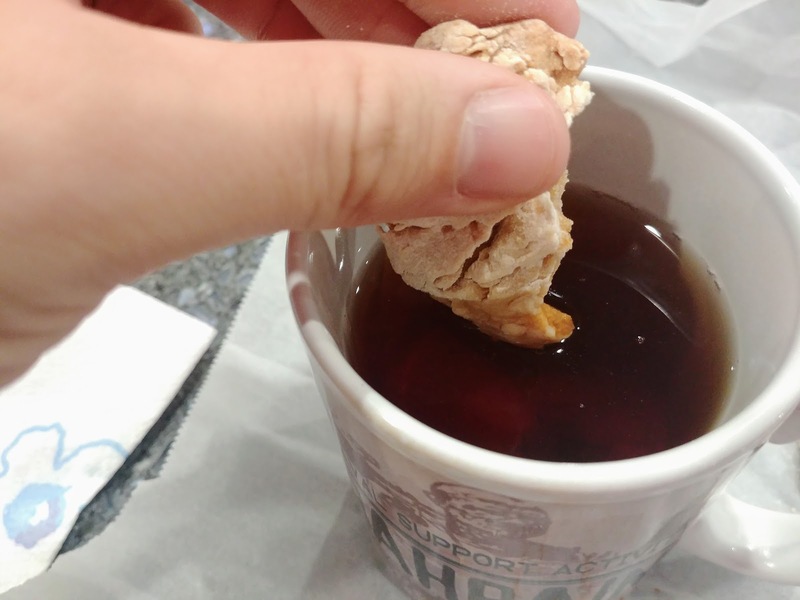 The hardtack is really pretty neutral, with the tea giving it a little flavor. I can see why soldiers would have dunked their hardtack in coffee. Hot chocolate would have been even yummier. I can also imagine that dropping soaked hardtack into a frying pan with meat, or cooking it up in a soup would also work well. Basically, it's just calories. I'm counting this culinary experiment as a success. I got to see hardtack / ships biscuits super powers on display, just about a year in storage without refrigeration and I got to connect with my ancestors who no doubt cursed the stuff. Will this staple find itself included in my next backpacking trip? Probably not. But who knows, maybe I'll go super-old school in which case I dare not step out into the woods without being properly equipped. A special thanks to Jas. Townsend and Son for inspiring me to eat my way into understanding history. Please do another test to find out if and what animals like to eat hardtack. hahaha. I already loved Bisquick and now I love it more.